Party season is in full bloom!! We all require breather form our regular activities and relax with family & friends especially when the climate takes a steep dip to frigid temperatures. Well, Christmas is right here and New Year is round the corner..to party to banti hai! And what's a celebration without Family & Food. With family & food, fun follows invariably. Indian households can never do away with a cottage cheese preparation when it comes to a celebration. Paneer is UBIQUITOUS! Here's one more spicy, luscious, creamy cottage cheese preparation straight from my mum's collection. It is incredibly easy to make and the tastes & flavors are to die for. "Lababdar" is a Hindi word that means very soft, creamy and having good mouth feel and indeed this recipe from my mum's kitchen qualifies to be the best lababdar gravy. The milkiness & creaminess from khoya & cashews gives a royal taste & texture while the assortment of mixed spices gives it a perfect punjabi tadka. This family celebration my Punjabi Paneer lababdar dish tops the list of party menu for all vegetarian and meat lovers! 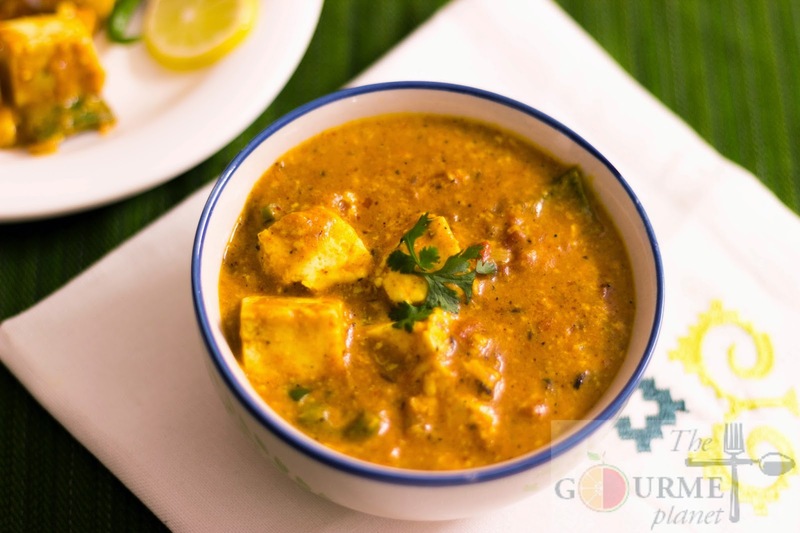 Quickly try it to know how this paneer delicacy from my Food Heaven tastes like. 4. Now add ginger garlic paste and saute for another 1 minute on a low flame. 5. Add cubed capsicum and tomatoes and bhuno for 1 minute. 6. Add the spices from the 'spices used' and further add tomato puree, cashew nut paste and milk solids. NOTE: You can alter the spice quantities as per your taste. 7. Mix all the masala vigorously on low flame and then add paneer pieces. 8. Very softly toss the paneer in the gravy and then add butter, heavy cream and let it simmer on low flame for 2-3 minutes till the gravy thickens a bit. 9. Lid the pan and turn off the gas. 10. 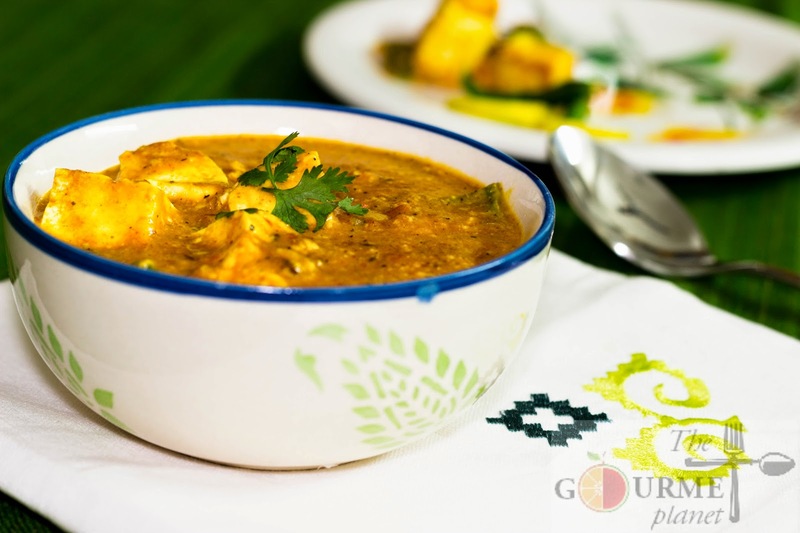 Garnish with ginger julienne and chopped coriander and serve hot with tandoori roti or hot phulkas.